Watch this whole orange peel tips video below for yourself and see the amazing results. 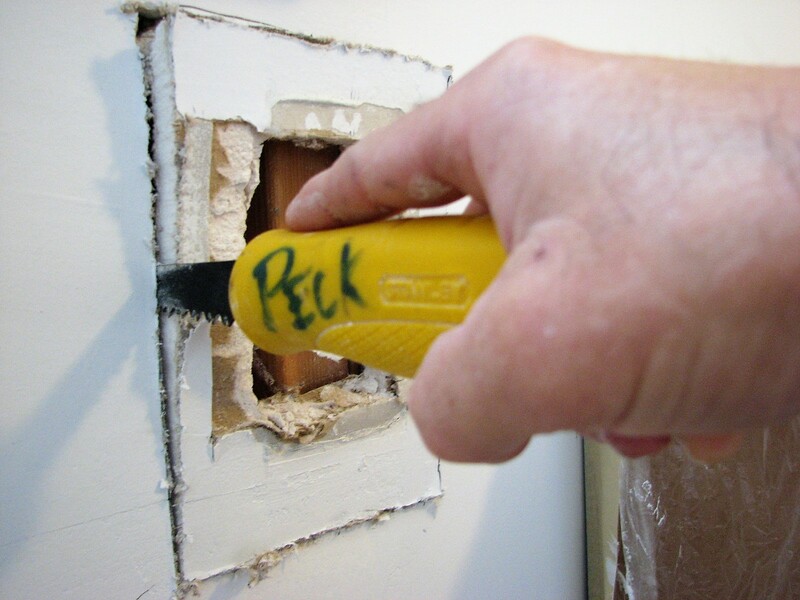 Today I’m going to show you how to do orange peel texture on a repair I’ll also give you some blending orange peel tips, tricks and more… After I repaired this water damaged drywall from a plumbing leak on the wall. Now it’s time to spray orange peel texture on the new pieces of drywall and blend into the existing orange peel. I’ll be using a hopper gun and a small pancake air compressor. I thinned down some joint compound to a pour-able consistency to spray the orange peel. Once the texture was dry, I also installed some baseboards. The homeowners opted to prime and paint this entire bedroom themselves. I’m using a Graco texture hopper and a BOSTITCH pancake compressor that I use if i’m just doing a drywall repair this size or smaller. Let me know in the comments if you have a drywall repair to do? Feel free to ask any questions about my Orange Peel Tips- How to blend Orange Peel Texture on a Repair techniques in this video?